A German patrol wiggles through Russian lines to return with details of Soviet defences. An expert Luftwaffe interrogator teases secret information from downed Allied airmen. Two spies steal ashore in Maine and make their way into New York City. 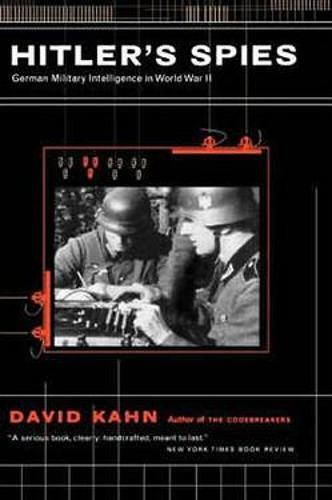 Filled with episodes of intrigue and adventure, Hitler's Spies reveals the workings of German intelligence,the famed Abwehr, the dreaded SD, the codebreakers, the spies, and the intelligence gatherers of the Foreign Office,and explains its failure to best the Allies. Draws on original documents and extensive interviews.